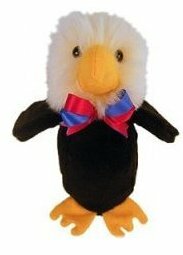 Baby Eagle- Super cute! Take one home today! NUU SOL FLIP FLOPS- Almost slept in mine! We are proud to introduce the Cascade flip-flop sandals made in Oregon by our good friends at NuuSol. When they set out to design their sandal, their goals were: MAKE IT COMFORTABLE, MAKE IT STYLISH, MAKE IT AFFORDABLE, and MAKE IT IN THE U.S.A. I am here to tell you they were VERY successful in meeting these goals. The NuuSol Cascades come in 6 different colors in M+W sizes with FREE SHIPPING for a limited time. I recently took my own pair of Cascades to the GORGEOUS beaches of Varadero Cuba and Holbox, Mexico. How did they perform? 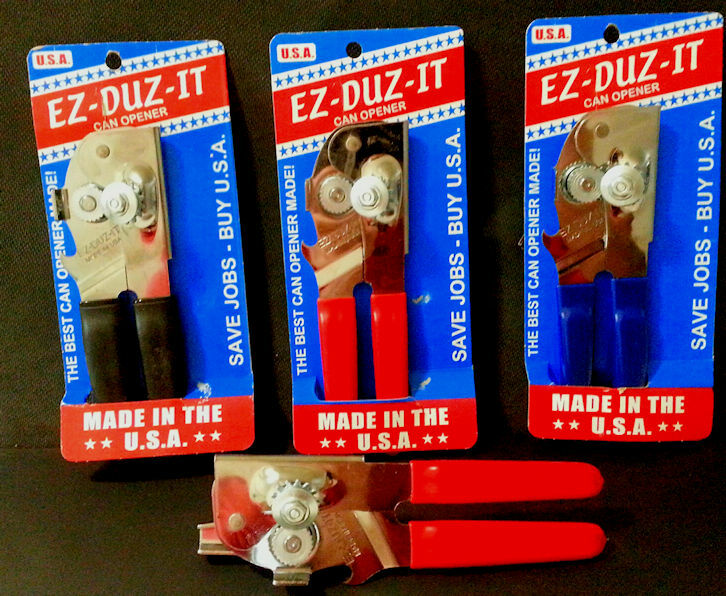 EZ-DUZ IT CAN OPENER: Don't despair--they still have made in USA manual can openers! The Steuby Company has a long history of American manufacturing and you'll see the results in the economically priced and highly functional EZ Duz It can opener. 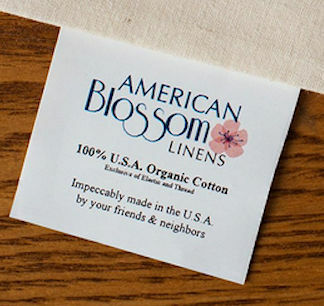 Free Shipping for limited time. There are 2 models available and 3 color choices. Our favorite part: the packaging literally screams "Made in USA"
RADA CUTLERY: MADE IN USA. We have featured the Rada Cutlery before. We can't say enough good things about these knives. Affordable, durable, performs very well and even dishwasher safe. We use our Rada knives every day--fruit, salads, bread, cheese. Always at the ready. 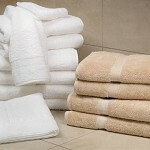 We offer a basic 4 piece Starter Set or to cover nearly all your needs: our hand picked Alex's Favorites 7 piece set. We urge you to check out our super buys section on Strictly USA You will find many great products with substantial discounts and sometimes free shipping as well.